Caption - Memories from the Harz system. 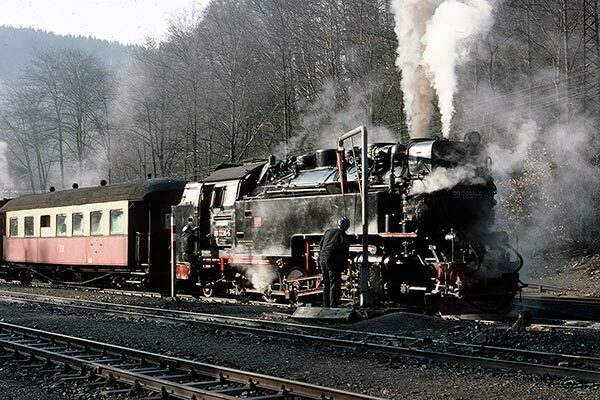 This image was taken 12th February 1977 and shows DR 99.7236 taking water at Talmuhle station with 1006 Nordhausen to Hasselfelde train. In some ways nothing has changed. Copyright © 2010-2017 World Railways. All rights reserved.